The World In Your Hands | THE GOOD . . . THE BAD . . . AND ME. Living alone for so long like I did, I learned not to depend on anyone apart from myself even at an early stage. Hitting rock-bottom only solidified my perception of how people are ready to throw away relationships to save their asses. From those several sad experiences, I was able to toughen up, learn to make smart decisions and acquire survival skills that are otherwise absent in co-dependent relationships or if I’m still living with family. I learned how to fix the plumbing on my own, pick up a hammer every once in a while, cook for myself, wash my own clothes, set up my electrical units, tinker with cables, shop on my own — just basically be the boss/servant because I have no one else to delegate these tasks to. Soon, I got so used to it that I became self-sufficient. To survive a sometimes cruel world, careful maneuvering is required. Like pieces on a chessboard, every person you’ll ever meet in this lifetime has a purpose — to help you win or lose in the battle called life. Yes, it’s a battle. The survival skills and knowledge you acquire are your weapons. Without them, you’ll end up depending on others to fight for you and you become vulnerable and even useless. Life is an endless and constant test. And the only way to pass all of those tests is to know what the right choices to make by the aid of those weapons you chose to use. Choose your weapons and hone it to its fullest. Sharpen it by updating your knowledge. Don’t just get stuck to your era. Evolve just like creatures and nature do. There are tons of possibilities to win in this world. You only have to be open to these possibilities. There no such thing as “NO CHOICE”. There’s always a choice. It’s only a matter of what choice I choose to undertake. Weighing in consequences or what, at the end of the day, I am still the one who’ll make the final decision, make the right or wrong choices that will eventually affect the way I live. But, at least I did all of those and not another person. If something goes awry, I only have myself to blame. 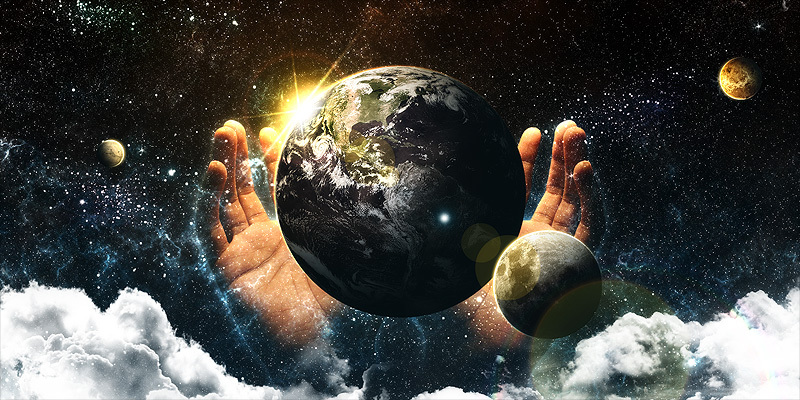 The world is in YOUR hands and always will. The only question left is what you’ll do with it once its cradled in your hands. Sometimes our choices are wrong , but if we learn from these wrong choices we are one step closer to being totally independent. That’s true. We also get smarter when we learn something good for the future from those wrong choices.